Greetings, Stampers! 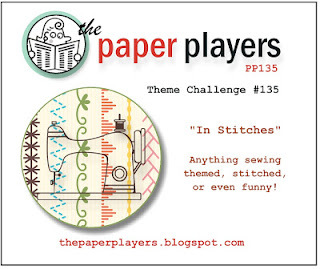 It's Sunday and time for another awesome challenge from The Paper Players! 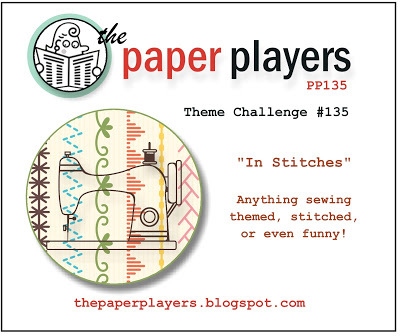 This week LeAnne has a theme for us: "In Stitches". You can create something sewing themed, stitched or funny! Before I talk about my project I just wanted to give you an update on my DH, Bill. He's out of the hospital now and in a rehab facility getting his strength back. He's feeling better than he has in a long time and I hope to have him home by the end of next week. Thanks so, so much to all who left comments and offered their prayers and concern. It really means a lot to me and I cherish every comment. Well, initially this challenge had me stumped. 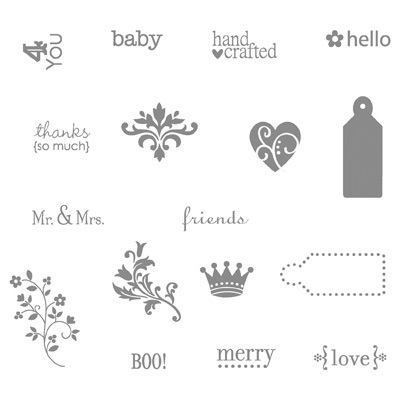 I do not have a single sewing themed stamp, nor have I ventured into the world of sewing on cards. I was considering doing some faux stitching when it dawned on me: a paper quilt! What's more sewing themed than a patchwork quilt? 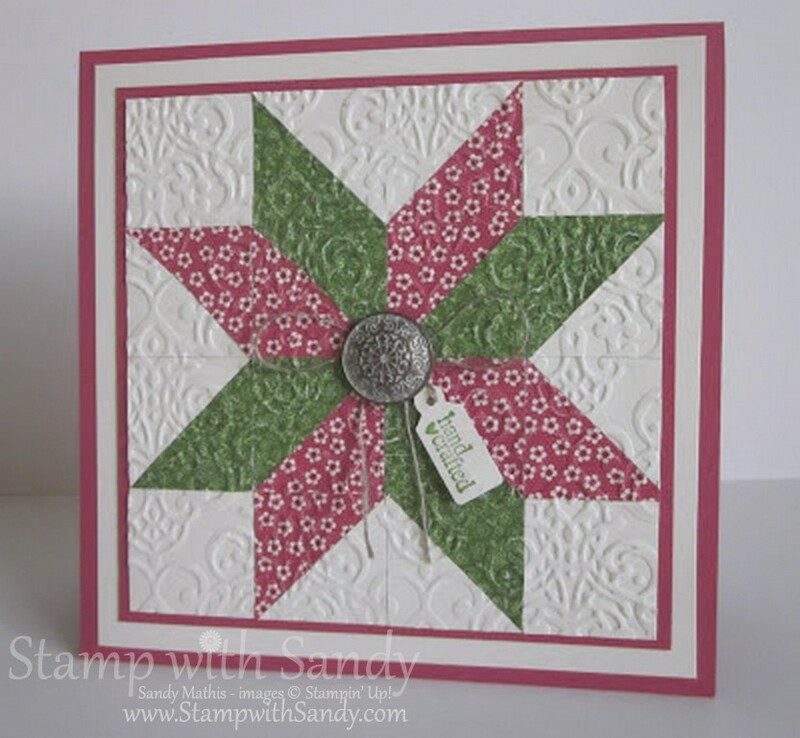 I found the pattern for this quilt over at Splitcoast Stampers. The quilt consists of 1" punched squares, most of which are cut in half on the diagonal. Working from the inside out, you adhere them securely to grid paper (to keep things straight). Once the quilt is done, I ran it through the Big Shot with an embossing folder to add some texture. Some of the petite calico-like patterns in the Print Poetry Stack were just perfect for my quilt. I thought the little "Hand Crafted" greeting from the Tiny Tags stamp set was perfect, also. I tied it onto a antique brad with some linen thread. I love love love this card. I haven't used real stitches on my cards ever so this is a great idea for the sewing people in my life. I might have to CASE it sometime! Wonderful card, Sandy! Such a great design and perfect for this challenge. I had to go back on your posts to find out what happened...I am so relieved to hear your DH is doing better. I hope you're both on the road home very soon! Be sure to take care of yourself, too! Big ((hugs))! Love the colors you used on your "paper quilt". My mother would love a card like this. Thank you for explaining how you made it! Sandy - I think your card is wonderful. I'm definitely going to give it a go. I've made some other quilt design cards but not one like this. TFS! What an awesome idea and a great card. I'm going to have to try this sometime. Glad to hear your DH is doing better. Superb card, Sandy!! I've never seen one like it and I'm just lovin' it!! Thanks for the quick quilt tutorial...it's one I've missed, but will enjoy using in the future! Very cute and very clever! It is an amazing card and I love it. 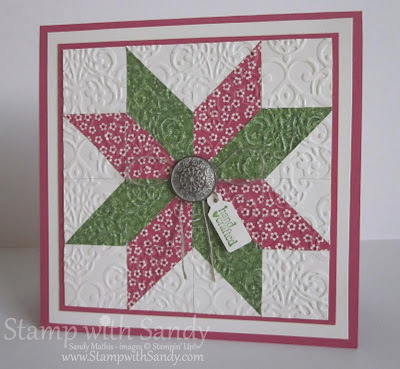 Beautiful quilt card with gorgeous pp! Beautiful, Sandy! I love how you used the Lacy Brocade embossing folder. 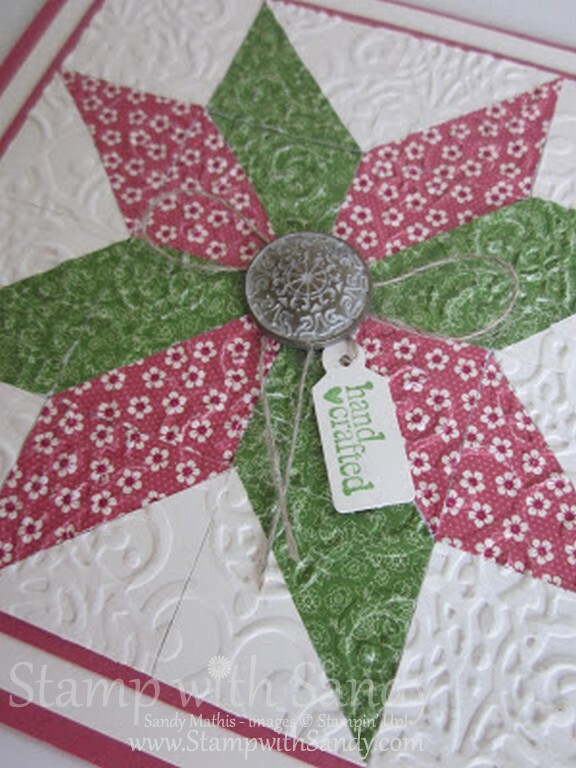 This looks just like an antique quilt block. Perfect color choices! Sandy, firstly, so glad to hear that Bill is on the mend and out of ICU. I can't imagine how difficult it must have been for you. Big hugs. Secondly, genius to think about making a faux quilt! When I first saw it, it reminded me of a warm log cabin with a log fir, a comfy, overstuffed sofa topped by a fabulous quilt. Thank you for evoking an entire scene with your card!